Written & directed the film "Nusrat. The Last Prophet of Music"
I’ve travelled to more than fifty „third Word” countries and I’m eager to make use of my experiences from the last dozen or so years of travel by making a film and writing. I’m looking for inspiration in the relations between people, art and exotic cultures. Day by day I am a director, screenplay author and at times a film operator. In my previous career as an art director I was the author of several dozen advertising campaigns and happenings carried out in Poland, Germany, Hungary and Malaysia. Currently I’m finishing work on the documentary film “Fighting Spirit”. At the beginning of the year, I returned from favelas of Rio de Janeiro, where luckily I was able to complete the final stage of shooting for the film. At the same time I’m also working on the literary reportage ‘Anikulapo” and the screenplay of the feature film “The True History of Vijay’ – an action film that will take place in modern India. Camerawork and direction of the film Nusrat - The Last Prophet of Music. 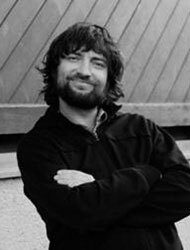 Born 2 September 1970, Zgorzelec. 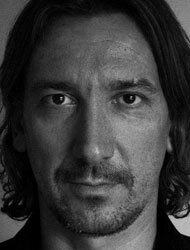 Graduated in Film and Television Studies from the University of Silesia in Katowice, where he studied (1989-1994) under Krzysztof Ptak – Working with Moving Images – and Bogdan Dziworski – Photography. Currently living and working in Warsaw (since 1992). Day-to-day work includes photography, short and longer-length film forms, also TV-production lighting design and direction.